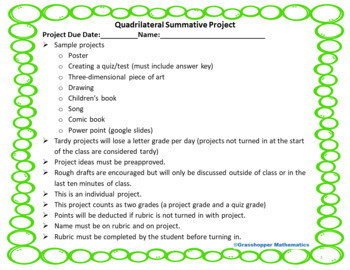 Students will create some artistic representation of quadrilaterals. A rubric is attached. 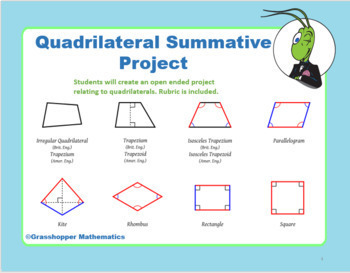 This project is mostly open ended to encourage students to think outside the box and do what they want with quadrilaterals in mind.